If you suffer from arthritis pain, you are not alone. In fact, arthritis is one of the leading causes of pain and disability across the world. Arthritis, in simplified terms, is a painful inflammation and stiffness of the joints. Arthritis is very common and is mostly commonly associated with aging, although certain types can also result from sports injuries. More than three million new cases of arthritis are reported in the U.S. each year. There are actually more than 100 different types of arthritis and it does not discriminate, impacting people of all ages, races and sexes. It is estimated that more than 50 million adults and even 300,000 children are living with some form of arthritis. This ailment causes symptoms including pain, swelling, stiffness and decreased range of motion. Many arthritis sufferers experience symptoms that come and go based on various factors. There are several ways that people who suffer from arthritis treat their symptoms. Luckily there are a few natural things you can do to help alleviate the pain of arthritis without resorting to expensive, potentially addictive or dangerous treatments. – If you are overweight it can contribute to arthritis pain and possible complications. The less weight your joints have to deal with means less pressure and less pain. Using permanent lifestyle changes to gradually lose weight is often the best way to go. – Smoking can lead to more arthritis pain due to toxins that cause stress on connective tissues, resulting in even more joint problems. – This will help with losing weight, but will also help you feel less stiff when you get up in the morning. Focus on activities that build the muscles around your joints without damaging them, such as stretching and gradual progressive strength training. Other great forms of exercise for arthritis include walking, water exercises and cycling. 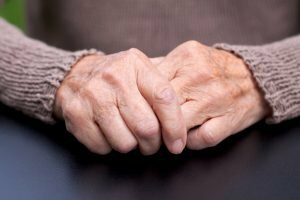 In addition to making positive lifestyle changes, there are several other non-invasive techniques you can try to manage the pain after your have been diagnosed with arthritis. – Practices that have been around for thousands of years are still effective today, including yoga, meditation, deep breathing, journaling and more. It may also help to speak with a therapist to help identify and break cycles of self-defeating actions and thoughts. – Strategic uses of heat therapy include hot baths or showers and heating pads. Using cold treatments can also be effective and includes applying ice packs to sore muscles. – Massage therapy can be an effective way to reduce pain and stiffness, but be sure your massage therapist knows about your arthritis so they don’t make things worse. If you are not finding relief from home remedies, physical therapy or pain management, give LaserTech a call. LaserTech has had success even when other treatments have failed. 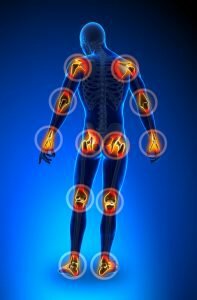 Our multiple computerized lasers are a better fit to increase healing and to positively improve the physiology that causes arthritis. We also offer a full suite of effective pain-relieving technologies to help relieve Arizona residents’ chronic pain. Give us a call at (602) 633-1063 to schedule your free consultation today!